Richard A. Levine, M.D., D.D.S., F.A.C.S. "You are in good hands with Dr.Levine." "I am so pleased with my results. Dr. Levine listened to me and never rushed the process." "His skill is unsurpassed. It's no wonder why he has earned his stellar reputation." "Dr. Levine is an incredible surgeon!" Richard Levine, MD, DDS, FACS is a skilled plastic surgeon serving the diverse communities that make up the entire San Antonio-New Braunfels metropolitan area. 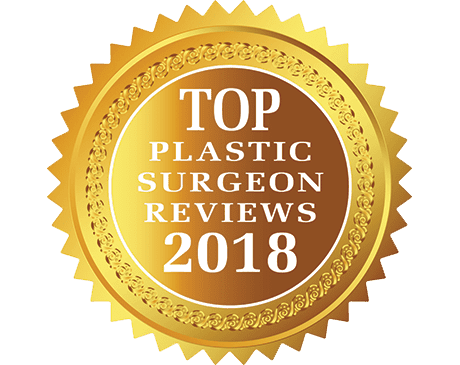 At his San Antonio office, Dr. Levine provides a multitude of cosmetic surgical procedures that leave his patients looking younger and feeling revitalized. Dr. Levine believes that his extensive preparatory education in math, dentistry, medicine, and pathology, as well as general and plastic surgery, is what separates him from his peers. All of these subjects contribute to his understanding of the complex issues associated with aesthetic surgery. Dr. Levine is a United States Army Medical Corps veteran and is affiliated with several well-respected medical organizations. He has served on the executive board of both the Baptist and Methodist Hospitals. He has been chair of plastic surgery and the chief of staff at both the Methodist and Baptist Hospital Systems, and he has been the professor of plastic surgery at the University of Texas Health Sciences Center. Dr. Levine’s patients have come to know him as a compassionate healthcare provider who cares about their overall happiness and well-being. Call or schedule an initial consultation online with Dr. Levine to see why the San Antonio area and surrounding communities turn to him to address their surgical needs. Dr. Levine does not publish photos online. Please view our gallery in the office! Why are more men deciding to have breast reduction surgery? Find out more about what influences breast size in men and why reduction surgery make sense. Are you unhappy with those puffy pouches under your eyes, or do you have droopy skin covering your eyelids? Eyelid surgery is a great way to correct saggy skin that can make you look older than you are. While aesthetics remains the top reason for rhinoplasty in the U.S., there are many other medical conditions that can be remedied by this surgery. Find out the most common non-cosmetic reasons patients undergo rhinoplasty. "Dr. Levine's skill and attention to every detail make me look as young as I feel. Thank you Dr. Levine -- your God given talent and PROVEN experience are gifts." "Dr Richard Levine is a fantastic Doctor! He not only takes great pride in his work and is truly concerned about his patient. I would not think of going to anyone else." "I cannot recommend him and his staff more highly. If you are looking for experience, knowledge and compassion Dr. Levine cannot be beat."